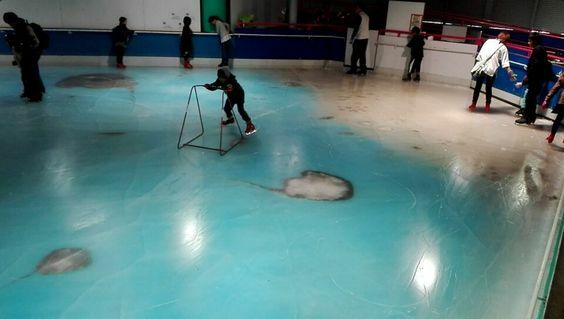 What started out as a creative idea for an ice skating rink ended up backfiring on a Japanese theme park when it decided to embed 5,000 frozen sea creatures an ice rink. A spokesman for the park said they were shocked by the reaction, but moved quickly to thaw the ice and remove the dead sea life, which ranged from fish to lobster and squid. In removing the fish, he also claimed the park would conduct an “appropriate religious service” and then reuse them as fertilizer, he told CNN.